Temples 2009 graduates celebrate their achievement. Students who were awarded extra tickets to the ceremony must pick them up in their school or colleges advising office by noon on May 4. Tickets that are not picked up may be redistributed. Diplomas will be mailed once fulfillment of degree requirements has been confirmed. To view or change your mailing address, contact the Registrars office. Yearbooks can be picked up from your school or college. All outstanding balances (including library and parking fees) must be paid. Students who received financial aid may complete their Exit Loan Counseling, which aims to help students better understand their finances and how to plan for repayment of loans. be matched by the Harvey Goodstein Challenge Grant. 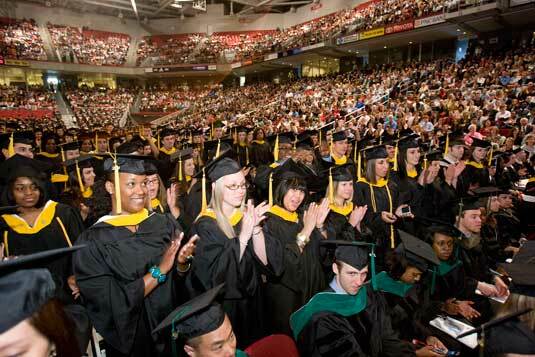 For complete information about commencement activities, visit temple.edu/commencement.